WHAT DO VIDEO BROCHURES & VIDEO BOOKS COST? A very common question we typically get asked first is “how much do video brochures cost?” Have you tried to find a clear answer online? It can be like digging for a needle in a haystack. Many companies based in China make it intentionally confusing — because they are simply Chinese shell companies attempting to resell and upcharge goods from Asian markets into the United States through resellers. The answer doesn’t have to be elusive. As a matter of fact, we provide a quick quote to anyone who requests it — free of charge and with no obligation. Put simply, the average cost of video brochures in most markets of the United States is between $25 to $60 per unit depending on the variables above. In comparison to other media and communications devices with high-resolution screens like tablets, phones and OLED displays, video brochure costs are often significantly less. This makes video brochures a desirable option for marketing and sales teams looking to achieve and exceed their goals. Regardless of the size of your order, there are affordable options available to you with Video Brochures Direct. We encourage everyone investigating the budget required for a great video brochure campaign to do their research with other companies. Put them to the test. Simply attempt to speak with a local representative in the United States for a quote at the very least. We often hear that foreign representatives are hard to reach. If you are able to find clear pricing, you are welcome to provide it to us for our price-match guarantee. If we are able to match the price for the same quality and safety-tested components, we absolutely will do so. 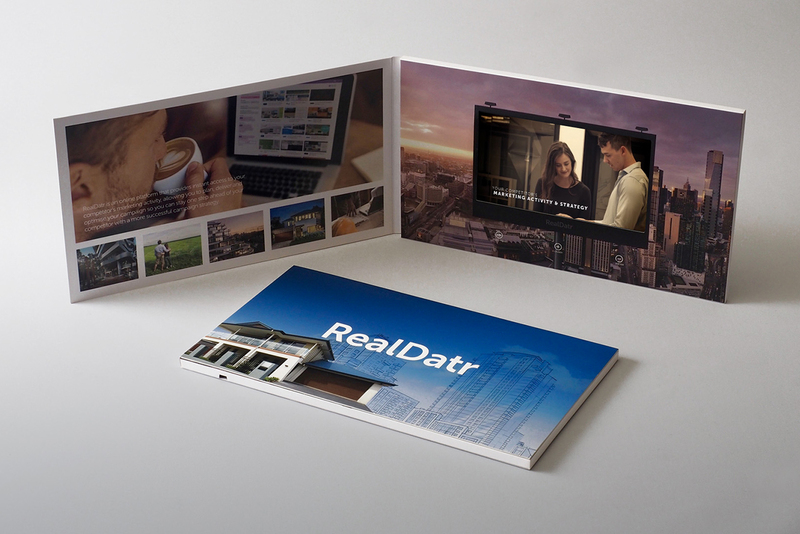 When the budget for an innovative project like video brochures is on the line, we believe that providing a local point of contact who understands your needs and relates to your culture and business is essential. Would you like more information about a free sample? YES (I want free info now). EVER WONDER WHY IT IS SO HARD TO FIND THE PRICE OF VIDEO BROCHURES ONLINE? The few quality global companies similar to Video Brochures Direct typically do not publish their price lists online. If they do, they often publish a deceptive rock-bottom price based upon unrealistically high quantities, slow production timelines, unsellable inventory, substandard parts, or even worse — incomplete pricing without factoring in shipping. Often prices change week to week for resellers (which represent a vast majority of companies that will show up on the first few pages of your Google search. Their prices vary widely from week to week depending on their various suppliers’ ability to obtain screens, memory, materials, and electronics. Our factory and processes are different. Our supply chain is reliable and consistent for a reason. We built it that way. Our discerning clients expect better and rely on us for quality and consistency. Put simply: our business model is different than the resellers and markup peddlers. They tend to resist publishing their prices so they can command the highest quantity order with the biggest margin. Our expert advisors bank on frequent repeat business and referrals by highly-satisfied customers. We believe that if we provide a quality product at an affordable price, you and your friends will be back for more — time after time. Our menu of popular video brochure styles below is meant to help you get started in narrowing down your budget effectively. 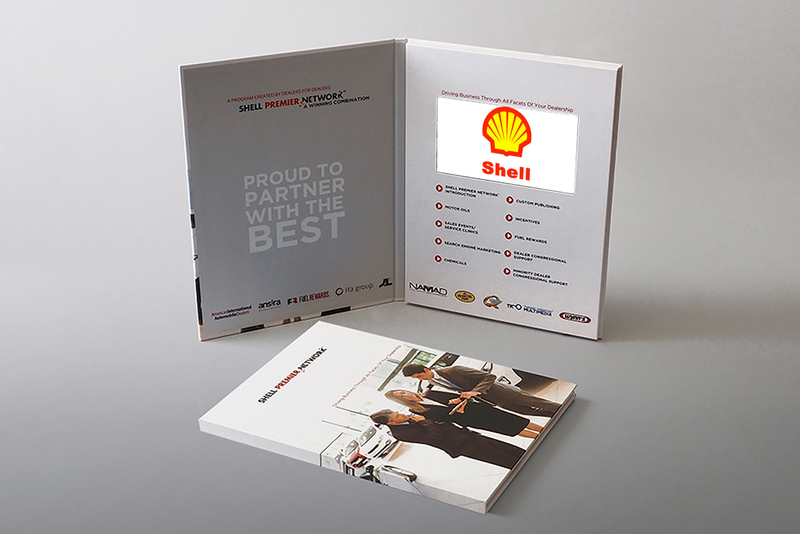 Contact a helpful Video Brochures Direct advisor for a custom quote in a matter of minutes on Half Page Vertical, Video Books, Half Page Horizontal, Presentation Folder, Business Card / Mini, Presentation Boxes, Panoramic, and Custom units. © 2018 Video Brochures Direct. All Rights Reserved.